When my mother-in-law died suddenly and my seriously ill father-in-law was left with no one to care for him, my wife and I were thrust into the complex and overwhelming world of long-term care. Just months later, my own father fell sick, and we struggled to help him too-from 1000 miles away. Over the next year-and-a-half, we faced one crisis after another, as each day brought new pain, but also surprising rewards. We didn’t know it then, but my family had just joined one of the least exclusive clubs in America. It is a silent society-one whose members rarely know one another and almost never discuss their struggles. Many, in fact, are convinced they are alone, although this club has tens of millions of members. Today, as many as 44 million Americans care for more than 10 million elderly and disabled friends and relatives. Some are seniors caring for spouses. Others are adult children helping their elderly parents, or even teenagers assisting disabled siblings. They are all races. Some are rich. Some are very poor. No one is immune. Someone you love will almost certainly need long-term care services before they die. Nearly 70 percent of our parents will receive such help sometime during their old age-usually at home, though often in a nursing home. It will last for an average of three years, though one in five will need this assistance for five years or more. The costs are crushing-often $75,000-a-year or more. And the weight of 77 million aging Baby Boomers will devastate our nation’s already fragile system for funding this critical day-to-day assistance. How can we repair the tattered safety net that is so essential to our aged and disabled? Caring for Our Parents tells the sometimes painful, sometimes uplifting, and always compelling stories of the families who struggle every day with the care needs of their loved ones. If you are a member of this club, think you may be soon, or know someone who is, this book offers stories, information, inspiration, and hope. It also presents new ideas for how America can do a better job both providing this care and paying for it. 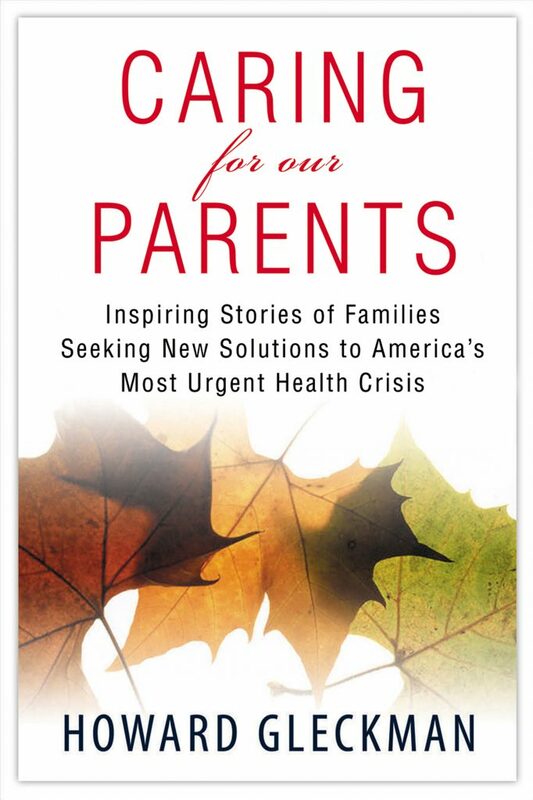 "Compelling personal stories, helpful information about where to turn for assistance, and ideas for ways to strengthen the safety net that too often fails families facing crisis.Caring for Our Parents is a book for everyone, but particularly for Boomers with aging parents or loved ones, and for our elected representatives who need guidance on how we can do better." "Howard Gleckman knows first hand about caring for his elderly parents. In his illuminating Caring for Our Parents, Gleckman shines a spotlight on the financial and physical price we pay to help our loved ones in a fractured and inadequate network of long-term care services. As he profiles families who meet those challenges with love, determination, and grace, he raises important questions about how our nation will cope as the enormous Baby Boomer generation ages. Caring for our Parents is a wake-up call to a graying nation." "Although the US spends far more on health care than other country, its treatment of millions of elderly and disabled is shameful. Even when families are willing and able to provide care at home, the "system" makes it nearly impossible. In this well-written and compassionate book, Howard Gleckman doesn't just describe the problem, he expands our vision of what long-term care should be." Health Progress says, "Reading Howard Gleckman's Caring for Our Parents convinced me that I should buy this book for all my friends and colleagues. It is a well-written and researched book which would serve as a primer for anyone facing caring for an older adult or planning for his or her own future." "The goal of Howard Gleckman’s welldone book, Caring for Our Parents, is to explain to the lay public what is wrong in long-term care and to propose solutions to these problems. By reaching the general population, especially baby boomers, he hopes to motivate a debate on long-term care that goes far beyond the narrow confines of experts. Much of the book chronicles the stories of individuals struggling to cope with severe disabilities and the heroic efforts of their informal caregivers... including Gleckman and his wife. These stories are moving, with informal caregivers displaying a devotion, grit, and effort that is always astonishing." "An absolute MUST READ for any family dealing with an aged loved one now or in the future. This book should serve as a cornerstone of any retirement plan. This book will make you run out and start planning. My clients go through the same situations. It's almost as if Mr. Gleckman has been a fly on the wall during my visits to my clients." "Howard Gleckman has written a captivating book that will challenge, inspire, and disappoint those of us caring for our aging parents, especially those of us who are Boomers. The book is readable and enjoyable, while at the same time providing lots of statistics and data in a very readable form." "I wish I had this book when my mother was diagnosed with Alzheimer's. Actually, I wish I read it twenty years ago. This book will raise your level of preparedness, and provide you with the answers to hundreds of mystifying questions that typical caregivers face when a health care crisis occurs." Ann was out with friends on the eve ning of February 21, 1996. I was sitting in my favorite chair, reading a book and listening to music, when the phone rang. I don’t remember the book or the music, but I will never forget the call. With just a few words, my family was sent plummeting into a painful, mysterious, and all- consuming world for which we were completely unprepared.